If you already have an account, enter your login and password. Welcome to the area of our website exclusively reserved for VB&VV clients. View these documents for a walkthrough of using our file exchange system. *Passwords expire after 90 days. Click on “Forgot my password” to create a new one. Van Bruggen & Vande Vegte, P.C. Founded by Arthur Van Bruggen in 1977 as the first CPA firm serving Northwest Iowa, our commitment was, and still is, to serve the best interests of each and every one of our clients. Please take a few moments, acquaint yourself with our firm and contact us for more information about our accounting or financial services. Are you getting the most out of QuickBooks Desktop? We believe that every business should always strive for improvement, and it is our mission to help you succeed. Many of you already use QuickBooks Desktop for recordkeeping, others of you may be interested in learning how to use QuickBooks Desktop. Effective use of QuickBooks Desktop helps track your business’ financial position, allowing you to become a more efficient business person and aiding you in presenting your financial information to outside parties. This seminar is focused on the basic operation of QuickBooks Desktop. Participants are encouraged to bring a laptop with their QuickBooks file along. Please click here for the registration form. We look forward to seeing you! We now have an app for your Van Bruggen & Vande Vegte file exchange portal! If you need any assistance with the app or getting connected to your portal, please call your accountant. Did you sell corn from September 15, 2013 - April 10, 2018? It is estimated more than 600,000 will be included in the first and second classes. The second, third, and fourth classes are allocated $20-30 million with the remaining $1.4 billion allocated to the first class. To participate, a claim must be submitted by October 12, 2018. A claim can be submitted online at www.cornseedsettlement.com or by mail with forms obtained from the same website. Please contact Tricia Heynen at (712) 476-2725 if you would like assistance submitting your claim. On behalf of VB&VV and Peoples Bank, we regret to inform you that the QuickBooks Desktop seminar has been postponed. We apologize for any inconvenience. We plan to reschedule in November and hope that this date works better for more of you. Please watch for more details regarding our class later this fall! This seminar is focused on the basic operation of QuickBooks Desktop. Participants are encouraged to take a laptop with your version of QuickBooks installed as the sessions will have a case study focus for a hands-on experience. Be sure to take any necessary accessories (such as power cords or mouse) as needed. *Note: Limited seating available. Please register early. If registration exceeds capacity, an additional class will be offered on June 28, 2018. Now that President Trump has taken office, he has started to formally outline his proposed tax plan. The crux of his plan is cutting tax rates across the board in an effort to spur economic development. On December 13, 2016 legislation was signed that removed the healthcare penalties for qualified small employers who use health reimbursement arrangements (HRAs) beginning on or after January 1, 2017. Qualifying small employers have fewer than 50 full-time equivalent employees and do not have a group health plan. The employer may reimburse employees and qualifying family members for proven medical expenses and insurance premiums up to $4,950 per employee, or $10,000 if the employee has family coverage, adjusted for inflation annually. Only reimbursements are allowed, salary reduction contributions are not. The reimbursements are an expense to the employer and tax-free to the employee and reduce the employee’s premium tax credit dollar for dollar. Reimbursements become taxable if the employee does not maintain ACA-level health insurance. All employee qualifications are determined on a monthly basis. Reimbursement plans must be offered to all employees, except for employees that have less than 90 days of service, are seasonal or part-time, or are under the age of 25. Advanced employee notice is required prior to the beginning of each year to implement this arrangement. There is an initial relief time period until March 13 for 2017. The reimbursed amount is to be included as a noted item on the employee’s W-2. There is also transition relief for reimbursed employee individual health premiums prior to 2017, but not for reimbursed medical expenses. Crop insurance proceeds. Insurance payments from crop damage count as income and may be taken in the current year or elected to be treated as income in the following year if due to physical damage and can show would have taken the amount in the next year typically. Deductible farm expenses. Farmers can deduct ordinary and necessary expenses as business expenses. An ordinary farming expense is one that is common and accepted in the farming business. A necessary expense is one that is appropriate for that business. Prepayment of expenses is allowed up to 50% of other deductible farm expenses or if your total prepaid farm supplies expense for the preceding 3 tax years is less than 50% of your total other deductible farm expenses for those 3 tax years. Employees and hired help. You can deduct reasonable wages you paid to your farm’s full and part-time workers. You must withhold Social Security, Medicare and income taxes from your employees’ wages. Items purchased for resale. If you purchased livestock and other items for resale, you may be able to deduct their cost in the year of the sale. This includes freight charges for transporting livestock to your farm. Repayment of loans. You can only deduct the interest you paid on a loan if the loan proceeds are used for your farming business. You cannot deduct interest on a loan used for personal expenses. Weather-related sales. Bad weather may force you to sell more livestock or poultry than you normally would. If so, you may be able to postpone reporting a gain from the sale of the additional animals. Net operating losses. If deductible expenses are more than income for the year, you may have a net operating loss (NOL). You can carry that loss over to other years and deduct it. You may get a refund of part or all of the income tax you paid for past years, or you may forgo the 2 and 5 year carryback options and be able to reduce your tax in future years. State and federal NOLs are calculated differently, so if there is a NOL at the Iowa level and not the federal level you are required to carry it back. Disaster Area Losses. If you have a deductible loss from a presidentially declared disaster area, you can elect to deduct that loss on your return or amended return for the immediately preceding tax year. Farm income averaging. You may be able to average some or all of the current year's farm income by spreading it out over the past three years. This may lower your taxes if your farm income is high in the current year and low in one or more of the past three years. This method does not change your prior year tax. It only uses the prior year information to figure your current year tax. Soil and Water Conservation. If you are in the business of farming, you can choose to currently deduct all of your expenses for soil or water conservation or for the prevention of erosion of land used in farming. The expenses must follow a plan approval by the NRCS or be consistent with a soil conservation plan of a comparable state agency. Otherwise, these are capital expenses that must be added to the basis of the land. Commodity Credit Corporation Loans. Normally, you do not report loans you receive as income, and you report income from a crop for the year you sell it. However, if you pledge part or all of your production to secure a CCC loan, you can choose to treat the loan as if it were a sale of the crop and report the loan proceeds as income for the year you receive them. Once you report a CCC loan as income for the year received, you must report all CCC loans in that year and later years in the same way. Hobby Farms. For smaller farms, try and keep it out of the definition of a hobby farm. Publication 225 lists nine criteria for establishing a farm as a business, including operating the farm in a businesslike manner, time and effort spent on the farm, depending on the income for livelihood, losses beyond your control, good record keeping, consulting with advisors, and your experience. Equipment. Watch out for depreciation recapture on equipment traded in on an operating lease. And don’t buy equipment solely to avoid taxes, ensure that it is necessary for your operation. Child Wages. You can pay your children who are under 18 years old up to $6,300 without having to pay social security taxes and typically there would not be income tax due if this is the child’s only source of income. Additionally, the earnings may be contributed to a Roth IRA for their benefit. It is important to remember that many of these provisions may sunset after 10 years and are not revenue neutral. So, the need to anticipate future changes and the likelihood of each provision becoming law will be necessary to get the most advantageous tax results. A preliminary injunction was granted yesterday by a federal judge in Texas, which had combined numerous state cases filed by business groups. The injunction is temporary until the Court has time to fully review the case, but is only granted if there is a substantial likelihood of success by the aggrieved party. Until there is a final determination employers may continue to pay employees based on previous legal pay practices. The Court issued the injunction due to the belief that the substantial increase in the minimum salary threshold made the salary the predominant part of the rule instead of a secondary component, as it believes Congress intended. Some changes have been made for tax filing deadlines for the upcoming filing season that are important to know about. The changes are primarily for simplification purposes and due to the need to have business return information available for the completion of individual owner returns. Form 1099 is required to be filed by January 31, regardless if filed by paper or electronically. These forms are typically used for contract work, interest or rent paid. W-2s now also have a due date of January 31. Form 1065 for partnership returns is now due March 15 with a 6 month extension available, which matches the Form 1120S due date for S corporation returns. Form 1041 for trusts and estates now has an increased extension time period as September 30. June 30 fiscal year-end C corporations will have until April 15 to file an extended return and beginning in 2026 will have a regular due date of October 15. Fiscal year C corporations now have until the 15th of the 4th month after year-end to file its return with an extension date as the 15th of the 10th month after year-end. Calendar year C corporations will have an increased extension time period to October 15, available beginning 2026. Non-profits, split-interest trusts and some excise tax returns will now have a 6-month automatic extension. The foreign bank and financial accounts report (FBAR) will now be filed with individual returns and associated due date instead of as a separate filing. Collecting and reviewing information prior to year-end will assist in streamlining the process and will be critical to get informational and business returns filed timely. Failure to file and late filing penalties are significant, up to $260 per form for W-2s/1099s, while penalties for business tax returns depend on the tax due or number of owners. Given the compression in the filing season these new deadlines create and the potential penalties, we would appreciate getting your information as soon as possible to ensure timely and accurate filing. Many people are familiar with the estate and gift tax incentives that putting land or other family business assets into a formalized business entity may create. Now, the IRS has issued proposed regulations that may effectively reduce or eliminate these opportunities for tax savings. The proposed regulations outline different types of scenarios where discounting would no longer be allowed, specifically minority discounting for members that do not have control over the entity or non-mandated liquidation restrictions. This would mean that the full proportionate value of all the assets owned by the business would be includable in the estate or gift attributable to the business owner upon death or when making a gift. It is expected that these rules will be finalized later this year or early next year. Until then, there are estate and gift tax planning opportunities available to get the most beneficial results out of the more favorable current laws. There are numerous reasons why a taxpayer may want to exchange real estate– family changes, business conditions or other market factors to name a few. A like-kind exchange allows for gain deferral when business or investment property is sold and the proceeds are reinvested into similar property. There are time requirements on the identification and closing on the new property and typically parties use a third party to hold the sale proceeds between transactions. For real estate, the like-kind rules apply to a wide array of property types and may even include units, rights, leases, leaseholds or easements. While partnerships do not qualify for exchange treatment there may be ways to hold real estate with other individuals or distribute it out of a partnership that may be eligible. There may also be situations where it would be beneficial for the transaction to be taxable. For example, if the transaction would result in a loss or if the taxpayer has passive losses to off-set the gain, which would increase the new asset basis. There are other issues to watch out for with a like-kind exchange, such as, depreciation recapture, related party transaction limitations and residential real estate with personal use. If there is more than one asset being exchanged, or mixed use assets, purchase price allocations should be negotiated. There are several planning techniques that may be implemented to accomplish the most favorable tax outcome based on the particular facts for each client. Van Bruggen & Vande Vegte, P.C. has considerable experience in this field and can assist in reviewing any proposed exchange to help ensure that the transaction will be completed in the most favorable manner and be upheld against IRS scrutiny. There are numerous factors to consider when determining the optimal entity type when you are either starting a business or already have one established and are looking for more efficient ways to operate. It is important to balance tax considerations with qualitative characteristics of each entity option and owner preferences. For example, simplicity of the structure may be the main concern or there may be a larger emphasis on how the business will be capitalized. Another important aspect to consider is how interests may be transferred and the tax consequences for anticipated future ownership changes. The type of industry, whether service based, professional, retail, manufacturing, agricultural, etc., plays a large role in the decision, too, along with salaries and fringe benefits to be provided to the owners. There may be more than one business enterprise taking place that may warrant separate entities, a holding company or series LLC formation. Running a business is full of stressful decisions regarding complex business, tax and ownership issues. Van Bruggen & Vande Vegte, P.C. is here to help ensure that your entity is structured to maximize organizational business potential and provide individualized solutions so that you can focus on your operations. However, pursuant to SDCL 10-45-2.2, the tax increase does not apply to materials incorporated in construction work pursuant to contracts bid or entered into on or before June 1, including change orders related to those projects. Effective July 1 off-road vehicles (such as ATVs) will be subject to the motor vehicle excise tax (4 percent) rather than state sales and use tax (4.5 percent). This also requires that these vehicles are sold by licensed dealers. 2) 200 or more separate transactions of tangible property, products transferred electronically, or services delivered into South Dakota. The new rules regarding pay for executive, administrative and professional employees were recently released by the U.S. Department of Labor with an effective date of December 1, 2016. These provisions are directed at white collar employees with salary based compensation that is deemed to be below minimum acceptable standards. The rules are to ensure that the overtime exemption is not being abused and to clarify the definition of exempt employees. Applicable employees are paid on a salary basis with a guaranteed minimum amount of pay and perform exempt duties. Exempt duties include supervision, management and input into decision making. Learned professionals and certain administrative operational positions are also exempt. No change to this duties test is being made, but it is being reviewed to ensure that the tests are controlling classification of bona fide employees as intended. The pay changes include raising the salary requirements for executive, administrative or professional employees who currently must be paid a salary of a minimum of $23,660 per year in order to comply with the standard exemption. The changes would raise this minimum to the 40th percentile of earnings for full-time salaried workers, which is will be $47,476 per year (or $913 per week) subject to adjustment every three years beginning January 1, 2020. For a highly compensated employee, right now the employee must earn at least $100,000 in total annual compensation to come within the exemption. This threshold will be raised to an amount equal to the 90th percentile of earnings for full-time salaried workers, which will initially be set at $134,004. Higher education institutions and non-profits have a modified application of the new rules. For higher educational institutions, employees with a primarily teaching function are not subject to the salary requirements. Teaching is broadly interpreted to include some coaches and student researchers. Further, comp time employees at public institutions and academic administrative personnel, if paid as much as teachers at the institution, are also not covered by the updated rules. For non-profits, the rules only apply to employees that perform business related activities for the organization, it does not apply to the organization’s charitable activities, unless the non-profit is a hospital or other facility providing medical services, school or governmental agency. Volunteers are also exempt except for those that also work for the organization. Review of employees subject to these provisions should be completed to ensure timely compliance with the finalized Rules. Feel free to contact us with any questions that may arise during this process or if you would like assistance with the determination of applicable individuals and planning strategies. Business valuations are critical to establish an accurate portrayal of assigning an economic value to a business and may substantially benefit the business and owners through a wide array of uses. Having an evaluated depiction of a business, which incorporates various numerical and non-statistical elements and analysis, allows owners and managers to implement better practices through an objective determination of change in value over a period of time. Currently, most businesses understand the need to have valuations completed for transactional purposes, but the benefits of a expertly prepared appraisal extends much farther. For businesses, some reasons to engage valuation services are for performance review and guidance for future business strategies, change of ownership, financing requirements, stock ownership and incentive plans, business restructuring and reorganizations or litigation. On a personal level, application of a valuation could be for individual income tax and estate succession planning or divorce and other litigation proceedings. With the estate tax exemption for 2016 adjusted to $5.45 million ($10.9 million per couple), there are a significant number of business owners that will require business valuations for estate tax planning. Depending on the use and need for the valuation, a full certified report may be compiled or a condensed letter or summary report may be sufficient. For example, some banks may be satisfied with a review of the financials by an appraiser, which would not warrant a full certified valuation. However, certified valuations are normally recommended for estate planning purposes to ensure valuation discounts that are assessed on business interests are upheld against IRS scrutiny. When engaging to have a business valuation performed it is important to consider the expertise, background and experience of the evaluator. Additionally, a certified appraiser should be used for any valuation that is to be remitted to the IRS to ensure compliance with statutory requirements. Van Bruggen & Vande Vegte, P.C. has decades of combined experience specializing in business and estate planning and has a certified business valuation partner that can work with you to review the appraisal needs and implement a plan to achieve combined business and personal goals. The IRS has put forth temporary and proposed regulations for the domestic production activities deduction (DPAD) to help clarify and provide guidance on outstanding issues. The DPAD is calculated based on the amount of production activities limited by income and wages paid. The deduction is computed by the business and it flows through to an individual’s tax return. The temporary regulations will be effective for tax years beginning on or after August 27, 2015 and are set to expire August 24, 2018. Taxpayers may amend previously filed tax returns to incorporate the temporary regulations. The proposed regulations will be effective when finalized. The temporary regulations sets forth guidance on the allocation of W-2 wages for limitation purposes; when there are multiple employers of the same employees during a tax year; and how to allocate the deduction for short tax years. The proposed regulations update the definition of qualified activities as items that are manufactured, produced, grown or extracted, including testing, packing and minor assembly activities and provides additional guidance for the application to some industries. For agriculture, there is an expanded explanation of the deductions application and a new illustrative example for farmers who receive DPAD allocation from their local cooperatives. For manufacturers, the DPAD deduction is allowed for taxpayers that perform qualifying activities and the proposed regulations clarify the definition of what activities of contract manufacturers meet the requirements. Finally, construction activities may qualify if the taxpayer actively engages in construction that includes the building or substantial renovation of property, which is further detailed by the regulations. For more information on this topic, feel free to contact me at abbie@vbandvv.com and sign up for our newsletter by going to http://www.vbandvv.com/, clicking on "News" on the upper right hand corner of the screen and typing in your e-mail address. Estate planning is something that few people like to think about, but putting together a plan that incorporates your financial goals is a necessary part of securing your family’s finances and reducing potential discord. If you don’t have a will or trust currently set up or it’s been a while since it’s been reviewed, you should consider meeting with an estate planning professional to ensure the documents are up to date and are still in line with your objectives. In particular, there are numerous triggering events that should cause a review of your estate plan, including, but not limited to: illness, death, disability, contemplation of marriage or divorce of any immediate relative, establishing a new business venture, significant increase in net worth (this should be reviewed every couple of years if you are above the unified credit amounts listed below), business changes, nearing retirement age, job change or loss, litigation and applicable legal changes. In 2016, the estate and gift unified credit threshold per person is $5.45 million (or $10.9 million per couple). That means, if your net worth is below those amounts you will owe no federal estate tax, but you only get one credit amount whether you use it during your lifetime or at death. The current estate tax rate is a flat 40% of amounts in excess of the thresholds (there may be smaller state estate taxes depending on beneficiaries and property location). In addition, each person can give an unlimited number of individuals property valued up to $14,000 annually, adjusted for inflation, without reducing their lifetime credit amount; although, a gift tax return should be filed for any gift of non-cash assets or of property that should be professionally appraised. Likewise, any contributions to qualifying charities not only gives you a current income tax deduction (subject to annual limitations and carry forwards), but also reduces your taxable estate without using your lifetime exemption. Finally, there are additional exemptions for medical expenses and tuition paid directly to qualifying institutions. For individuals with current and anticipated future net worth below those levels there is still considerable tax planning that may be done from an income tax perspective based on the step-up in value that most assets get at death and the types of income and property that each beneficiary will receive. Anyone can benefit from an evaluation depending on asset holdings and beneficiary intent, especially when there are real property assets or business holdings involved. There are various strategies and factors to consider when comparing options to optimize the estate and gift unified credit and the income tax basis step-up. Van Bruggen & Vande Vegte, P.C. has decades of combined experience specialized in estate planning and a certified business valuation partner that can work with you to review and implement your plan to help achieve your estate planning goals. Truncate or mask social security numbers where possible. Bring a copy of any IRS notices you receive to your tax preparer immediately. Keep Social Security cards and financial information in a secure location and properly dispose of documents with social security or account numbers. Do not carry in your wallet or purse or store in your phone (or in e-mails or texts that may be accessed from your phone). Be very cautious about releasing social security numbers, birthdates or addresses. Buy and use a shredder. Protect personal computers with firewalls, anti-spam or anti-virus software. Regularly change passwords and password-secure wireless connections and use strong passwords that have a mixture of letters, numbers and special characters. Be mindful of personal information divulged on social media, as hackers are getting more and more sophisticated. Do not give any personal information out over the phone to someone who called you if you do not know the caller, regardless of why they say they need the information as scare tactics are often used to extract information. Remember to let your financial institutions and CPA know immediately if you suspect any suspicious or fraudulent activity or that your personal information may have been compromised. Recent changes and extensions were made to the §179 provisions related to qualified real property in the "Protecting Americans From Tax Hikes Act of 2015" (Act). Qualified real property is qualified leasehold, restaurant or retail improvement property that is depreciable, acquired for use in the active conduct of a trade or business and not excluded from §179 property (qualified real property). The changes include retroactive provisions for the continued allowance of described §179 qualified real property, the 15-year recovery period and the ability to revoke a §179 election without IRS consent within the time prescribed for filing an amended return. For tax years beginning in 2016, the Act also makes qualified real property provisions for the removal of the limitation of carryforward unused §179 due to business income restrictions, removal of the $250,000 taxpayer limitation and increased the annual §179 amount for inflation adjustments to the nearest $10,000 multiple. Additionally, Revenue Procedure 2015-56 was recently issued to provide safe-harbor provisions to the tangible property regulations for allocating remodeling costs for restaurants and retail buildings between business deduction expenses and capitalized costs. This method may only be used by entities with an applicable financial statement (i.e. audited, SEC or other federal agency filing). The safe harbor allows an allocation of 25% of qualifying remodel and/or refresh costs to be capitalized with the remaining 75% allowed to be currently deducted. In order to use the safe harbor, the building needs to be put in a MACRS general asset account, which may be done through an accounting method change. This method also prevents the ability to make a partial disposition election on retired structural components. For bonus depreciation rules, the Act broadens the definition of qualified improvement property and expanded the deduction to be exempt from the alternative minimum tax depreciation adjustment. Qualifying improvement property includes any improvement to an interior portion of a building that is nonresidential real property if the improvement is placed in service after the date the building was first placed in service, excluding the enlargement of the building, any elevator or escalator or the internal structural framework of the building. Unlike §179 depreciation, bonus depreciation is not subject to income limitations, but must be qualified new property. Each of these expensing and depreciation methods should be reviewed when deciding which to implement based on the depreciation needs of the business, anticipated business, owner income, tax rates and other flow-through depreciation sources. The Iowa House of Representatives has passed legislation regarding Iowa tax coupling to the federal PATH Act provisions for 2015, including the Section 179 accelerated depreciation. The Senate introduced a Bill adopting the House provisions, which is expected to go to vote in the Senate Ways and Means Committee today. If passed, it would be anticipated that the Bill could be signed by the Governor next week, who has already expressed his support for the proposal. It appears that the compromise includes reduced sales tax breaks that were anticipated to become effective this summer. These breaks primarily targeted the manufacturing industry and the definition of real property for farmers (see previous posts). The revised sales tax sections eliminate the substantive portions of the tax break down to simply expanding the definitions of replacement parts and supplies. While it essentially maintains the status quo, it may have negative impacts on business owners who are competing in an industry without consistent application of the rules. We will keep everyone updated on the Bill as it progresses. We have been working diligently to provide the highest quality tax service during this time of uncertainty to do best by our clients. Please contact us with any questions that you may have regarding how this may impact your business and, as always, be sure to contact your legislators with any comments. 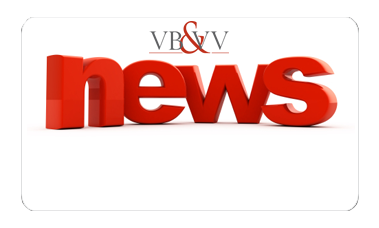 If you would like to subscribe to our blog and newsletter, you can e-mail us at abbie@vbandvv.com and we will sign you up or go to www.vbandvv.com, click "News" in the upper right-hand corner and enter your e-mail address. The Work Opportunity Tax Credit (WOTC) has been extended as part of the Protecting Americans from Tax Hikes Act of 2015 through 2019. The WOTC allows employers that hire individuals with certain characteristics to claim a tax credit equal to a portion of the wages paid to those individuals. The credit is a non-refundable 40% on $6,000-$24,000 of wages, depending on the employed group, for a credit of $2,400-$9,600 per qualifying retained employee. The credit has been modified to include employers who hire qualified long-term unemployed individuals (27 weeks or more). Other WOTC-eligible populations include recipients of certain public benefits (such as the Supplemental Nutrition Assistance Program or Temporary Assistance to Needy Families), qualified veterans, ex-felons, individuals between the ages of 18-40 that live within an empowerment zone or rural renewal county and other specified populations. A rural renewal county is a county in a rural area that lost population during 5-year periods in the 1990s. The qualifying rural renewal counties are listed on the instructions for Form 8850 and for Iowa include: Adair, Adams, Appanoose, Audubon, Butler, Calhoun, Cass, Cherokee, Clay, Clayton, Emmet, Floyd, Franklin, Fremont, Hancock, Humboldt, Ida, Keokuk, Kossuth, Montgomery, Osceola, Palo Alto, Pocahontas, Poweshiek, Sac, Taylor, Union, Wayne, Winnebago, and Worth. ETA Form 9061, Individual Characteristics Form, if the job applicant did not receive a conditional certification. You can get the applicable ETA Form from your local public employment service office or you can download it from the ETA website at www.doleta.gov/business/Incentives/opptax. • Scammers make unsolicited calls. Thieves call taxpayers claiming to be IRS officials. They demand that the victim pay a bogus tax bill. They con the victim into sending cash, usually through a prepaid debit card or wire transfer. They may also leave "urgent" callback requests through phone "robo-calls," or via phishing email. • Callers try to scare their victims. Many phone scams use threats to intimidate and bully a victim into paying. They may even threaten to arrest, deport or revoke the license of their victim if they don’t get the money. • Scams use caller ID spoofing. Scammers often alter caller ID to make it look like the IRS or another agency is calling. The callers use IRS titles and fake badge numbers to appear legitimate. They may use the victim’s name, address and other personal information to make the call sound official. • Cons try new tricks all the time. Some schemes provide an actual IRS address where they tell the victim to mail a receipt for the payment they make. Others use emails that contain a fake IRS document with a phone number or an email address for a reply. These scams often use official IRS letterhead in emails or regular mail that they send to their victims. They try these ploys to make the ruse look official. • Scams cost victims over $23 million. The Treasury Inspector General for Tax Administration, or TIGTA, has received reports of about 736,000 scam contacts since October 2013. Nearly 4,550 victims have collectively paid over $23 million as a result of the scam. • Call you to demand immediate payment. The IRS will not call you if you owe taxes without first sending you a bill in the mail. • Demand that you pay taxes and not allow you to question or appeal the amount you owe. • Require that you pay your taxes a certain way. For instance, require that you pay with a prepaid debit card. • Ask for your credit or debit card numbers over the phone. • Threaten to bring in police or other agencies to arrest you for not paying. • Do not give out any information. Hang up immediately. You can also now request copies of return transcripts that were fraudulently filed. Let us know if you have any reason to suspect that someone has used your tax information fraudulently and remember to let your CPA know as soon as possible whenever you receive any IRS correspondence. While most people have seen the advertisements for free tax filing preparation, the marketing may be misleading as it is not beneficial for most filers. The free software is typically only for the most basic federal returns and many people have income or adjustment items that will require filing Form 1040 instead of the simplified forms that are usually included in the free versions. Additionally, most companies charge for the filing of state returns, even if the federal is filed for free. Other free filing restrictions include income and age limitations. Besides the problem of who actually qualifies for the free filing that is advertised by software companies, the primary issue is that the software could cost you additional tax dollars by missing valuable deductions or credits since it is not aware of your personal circumstances. Meeting with a tax preparer that can get to know your specific situation and evaluate your tax needs is the only way to ensure that items are being accurately reported in the most tax efficient manner. exclusion from income of certain IRA contributions to charity. However, the Iowa Legislature is currently divided with the approval of applying these tax breaks at the state level. The House recently passed a tax bill that almost mirrors the Federal Act, except for, most notably, the bonus depreciation which Iowa had previously decoupled. Conversely, the Senate introduced its own Bill that would only allow the research activities credit provisions afforded by the Federal Act on an Iowa return for 2015. Beginning in 2016, the Senate Bill would incorporate many of the federal provisions - except for the depreciation allowances. The failure to significantly couple with the Federal Act will create additional complexities and tax liabilities for taxpayers filing an Iowa return as there will likely be additional carryover differences or exclusions and reduced deductions. If you wish to speak with your Representatives regarding these potential changes, here is a link for their contact information: https://www.legis.iowa.gov/legislators/find. We will post more details once the bill is signed into law, but feel free to contact us with questions in the meantime. If you are attending college or have a child in college or getting ready to attend college, there are new FAFSA reporting rules beginning next year. The FAFSA is required to be filled out for a student to apply for federal financial aid, including related grants, loans and work-study. The new rules allow a student to be able to file a FAFSA for school earlier and more in line with the college application deadlines with applicable tax information based on the prior year. So, beginning with the 2017-18 school year a student can submit the FAFSA as early as October 1, 2016 with 2015 tax information. This should allow for the FAFSA to be filed timely and resolve issues that applicants may have with completing their tax returns on time to do so. Another change going forward is beginning after December 31, 2015, where schools will only be able to report qualified tuition and related expenses that have actually been paid on Form 1098-T for the year. This should resolve any confusion related to amounts paid versus billed for academic periods. For those of you who are nearing retirement age, there have been some updates to a couple popular Social Security filing strategies. Currently, the Social Security Administration allows for couples to file for benefits using the file and suspend and restricted application methods. The new federal budget bill removed these options to be effective as of April 30, 2016. If you have already filed for Social Security benefits, then there is no impact to you. If you have not filed for Social Security benefits, in order to qualify for the file and suspend strategy at least one of the spouses needs to be full retirement age by the deadline. The file and suspend option permits a spouse to receive benefits on the other spouse’s record while the other spouse continues to delay filing for his or her own benefits. For the restricted application option an individual needs to be age 62 before April 30, 2016 in order to be eligible. The restricted application tactic allows a spouse to limit the benefit claim to spousal benefits while delaying his or her own record, which continues to grow. Then, one can switch over to their delayed individual benefits at a later date. Any Social Security strategy is dependent on the social security income and credits earned for each spouse and numerous other personalized factors, so it is important to ensure your plan is tailored to your facts and retirement goals. IRS Notice 2015-82 increased the amount of capital expenditure items that may be expensed as repair and maintenance from $500 to $2,500 to be effective beginning January 1, 2016. For most business owners this will be advantageous as it will reduce the need to add items to the fixed asset schedule and unnecessarily use limited accelerated depreciation options. In order to qualify for this new threshold, the business needs to have a written capitalization policy on file and signed before the beginning of the entity’s tax year. However, if there are depreciable assets that may appreciate in value, then this policy should be carefully considered before implementing as this may create ordinary income on the sale of the item that may have been able to be categorized at more preferential capital gain rates. The increased threshold should also be reviewed if the net income from your business is subject to self-employment tax, especially if you have breeding stock or dairy animals, as the sale of these items will be categorized as self-employment income rather than regular ordinary income. While we will be reviewing these policies on an individual basis for our clients, let us know if you have any questions pertaining to this Notice. On December 18, Congress passed the “Protecting Americans from Tax Hikes Act of 2015”. The Act provides temporary relief for many individuals and businesses for the current tax season, as it will be retroactively effective as of January 1, 2015. Some of the tax breaks provide future benefits by being further extended or made permanent. For individuals, the Act includes permanent provisions for teacher expense deductions up to $250; state and local sales tax deduction; child, Earned Income and American Opportunity (College) tax credits and tax-free charitable distributions from IRAs for individuals over 70 ½. The Act also provides an extension of individual tax breaks through 2016 for deduction of mortgage insurance premiums, income exclusion for discharged debt from a principal residence and above the line qualified college expense deduction. For businesses, the primary changes include permanent provisions for §179 first year depreciation deduction up to $500,000 with phase outs beginning at $2 million of property placed in service for the year, as adjusted for inflation; 15-year straight line cost recovery for qualified property and real estate improvements; continuation of the research and development credit and a reduced built-in gains period for converted S corporations to five years. In addition, the 50% bonus depreciation on qualified new property is extend through 2017 with a phase out through 2019. While we realize that most of your tax planning for the year has already been completed, do not hesitate to give us a call with questions regarding the impact this may have on your tax planning and we will do our best to accommodate and resolve any issues. 3) property that becomes part of a fixed structure, but is used for exempt purposes. This may affect some construction projects as the rules are for contracts entered on or after the effective date, so clients may want to defer higher dollar projects in order to fall under these new rules. In light of these changes and the complexity of the states sales and use tax requirements, you may consider having us review your company’s overall sales and use tax remittance procedures to ensure that everything is being accurately reported. We would be happy to answer any questions you may have and will continue to keep you updated on changes that may impact your business. In addition to this new sales tax exemption for manufacturers there are many more exclusions that have been previously allowed that will continue. We think next spring or summer would be a good time for us to review your company’s sales tax remittance procedures to ensure that it is taking advantage of this new and all other exemptions. We would be happy to answer any questions you may have in the meantime and will continue to keep you updated on changes that may impact your business. Van Bruggen & Vande Vegte, P.C. is committed to stewardship. With God as our foundation and integrity as our guiding principle, we equip our clients to make the very best decisions through sound, innovative financial advice. We foster a culture where our employees’ God-given gifts, talents and interests are maximized. Together we give back to the communities in which our families work, learn, grow and thrive. © 2019 Van Bruggen & Vande Vegte, P.C. All Rights Reserved.